Flying J, I-4 near Mango, FL. Taken Jan. 2003 by Robert Droz. 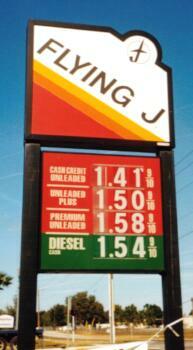 Flying J at Zachary and Merced in Kern County, CA. 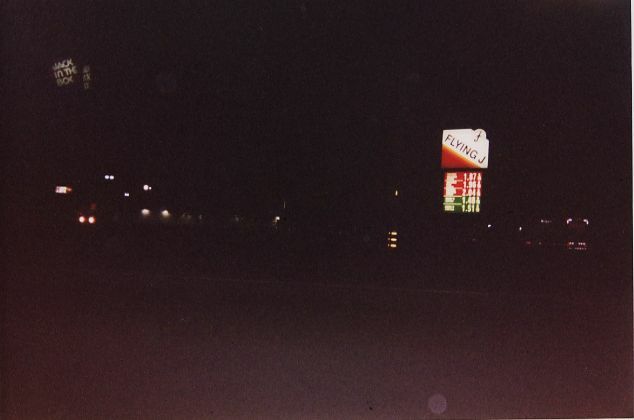 Taken April 2003 by J. Eric Freedner. offered to buy the ailing company to remove the bankruptcy. their legal name remains Pilot Travel Centers, LLC.